AFTER Sunderland’s recent defeat to West Brom, rumours spread like wildfire that Martin O’Neill was on the verge of being sacked. These reports proved incorrect, and whilst the majority of Sunderland’s supporters are still behind their manager, how do you explain just 2 wins in the last 23 Premier League games? Let’s take a look at Martin O’Neill’s first 12 months as Sunderland manager. Let’s start by rewinding to the beginning of last season. Steve Bruce is Sunderland’s manager and has spent heavily in the transfer market, reinvesting the substantial Jordan Henderson fee in Connor Wickham (for ridiculous money), the experienced has-been centre backs Brown and O’Shea (who were mostly only trusted at fullback by Sir Alex Ferguson), the goalscoring midfielder Craig Gardner, plus what looked like very tidy free transfers in Seb Larsson and David Vaughan. Of course, the perils of signing two new central defenders and an entirely new midfield, is that a bedding-in period is going to be necessary. Losing Asamoah Gyan (after losing Darren Bent 6 months earlier) as well as the excellent, creative Steed Malbranque, left a major hole in attack. Nicklas Bendtner arrived on loan from Arsenal. With Elmohamady already in place on the right flank, it meant Larsson would need to be accommodated elsewhere. Again, the left back issue had not been addressed. After winning just 2 of their first 13 Premier League games and following a last minute home defeat to Wigan Athletic, chairman Ellis Short sacked Steve Bruce. He had not been at all popular with the fanbase, as his constant excuse-making after defeats, baffling team selections, and partly his Newcastle-supporting history, all worked against him. The side were 15th in the table at the time of his sacking, and on just 11 points. So in comes Martin O’Neill, unemployed since falling out with Randy Lerner at Aston Villa, and himself a boyhood Sunderland supporter. This job meant the world to him. His start could not have been better – an incredible run of 22 points from his first 10 league games in charge, shot the team up to 33 points and put the club on the verge of Premier League safety with 14 games still to go in the season. What exactly was he doing differently to Bruce? Not all that much. His general tactical plan was to sit very deep, cede possession completely and invite opponents on to them. The side would break quickly through James McLean – a revelation after being given a regular chance by O’Neill – and Sessègnon. Larsson’s delivery from both open play and set-pieces, was a regular source of assists. Many of the best displays actually came with Bendtner out injured and Sessègnon being used as a lone striker. This allowed midfield players to break forward in support. Players were generally used in their best positions, with the exception of Kieran Richardson being used at left back. This was a pity as Richardson would have suited a more attacking role in a central midfield 3. 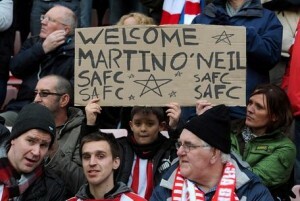 Martin O’Neill has had the backing of the Sunderland fans from day one. Unfortunately, the results after that were extremely poor with just 12 points taken from the last 14 games of last season. The team failed to win any of their final 8 league games. With 45 points, a 13’th place finish was the end result. This was a disappointing position after being 8th after the February win at Stoke. Although Bendtner returned to fitness and played very well towards the end of the season, it’s no surprise that a more regimented 4411 saw less fluid, penetrative counter-attacking play. It shouldn’t be overlooked that the confidence surge brought about by O’Neill’s appointment and enthusiasm, led to several wonder goals being scored from long range, and several late winning goals. Larsson, Brown and Ji Dong-Won all scored late winners to pick up crucial points. Another key aspect of the initial rush of points was down to the side not drawing many games. The logic is obvious, but drawing 5 games only brings 5 points in total, while losing 3 of those games and winning 2, brings 6 points. Settling for a draw might mean you don’t get beaten, but the only real benefit of single point hauls is avoiding the knock to the pride a defeat brings. This season, Sunderland have continued their poor form from last season. In came Steven Fletcher and Adam Johnson this summer, but the former has been completely relied upon for goals (and is currently on a run of 1 goal in his last 10 games), while Johnson has been extremely poor. The bigger problems have stemmed from using so many players out of position. With Bardsley injured, O’Neill used goalscoring midfielder Craig Gardner at right back. This is despite both O’Shea and Cuéllar playing most of their football for their previous clubs at fullback, and Larsson playing in that position for Sweden. With Johnson on the right hand side, this also meant Larsson had to be accommodated in central midfield. He had started his Sunderland career on the left wing against Liverpool (scoring a great goal). In the early games of the season with Johnson still settling in, or struggling with knocks, Larsson played wide at West Ham and set up Fletcher’s goal with a cross from the right. With Larsson playing centrally, his best asset, crossing the ball, is taken away as a source of goals. McLean’s poor form hasn’t helped either, and this has forced Johnson to play on the left at times, where he is less comfortable. Facing 10 men against Wigan, Newcastle and Fulham has led to 7 of the 14 points accrued so far. The issue of too many draws was a very prominent issue in the early season form. Despite losing just 1 of the opening 8 games, only 9 points were gained (6 draws). One major positive of recent weeks has been the outstanding form of Danny Rose. Although not “naturally” a left back, he moved in to that position last season at Tottenham. After an iffy start, Rose’s form since the spotlight of the Serbian racist incident has been superb. If Sunderland could make that deal permanent, the long-standing left back issue might finally have a solution. Danny Rose has been Sunderland’s best player in recent weeks. So, how to turn around the season? Firstly, using Larsson exclusively in a wide position would be a start. David Vaughan has barely featured this season, and deserves a chance to start centrally. With Cattermole now out for 2 months, the side lacks steel in central midfield. Some aggressive cover is needed in January. For now, lightweight central midfields of Gardner and Larsson will simply not do. Using a genuine central midfield trio of Colback, Gardner and Vaughan would tighten things up in the middle. In defence, O’Shea and Cuéllar are both positionally and physically suspect. Giving Titus Bramble a chance in the side should improve things, even if he has an unfair reputation for regular howlers. With Johnson and McLean so out of form, shifting Sessègnon to the left flank and using Gardner off Fletcher is an option. Another option is to push Rose forward in to midfield, with Bardsley moving to left back, and Cuéllar returning to right back, whether he enjoys playing there or not. The argument that Sunderland’s squad is weak is nonsense. Louis Saha can and will score goals should he ever be given a chance to start matches. Wickham is still extremely raw, but his physical presence is worth using a lot more. And even Ji Dong-Won, who scored goals against Chelsea and Man City last season as a substitute, is worth giving the occasional appearance. James McFadden was brought in on a free, but has yet to be given a chance. In the past, he has regularly shown himself to be capable of having an impact off the substitutes bench. There is also England International Fraizer Campbell, who is an option up front, or as a wide forward on the right-hand side. 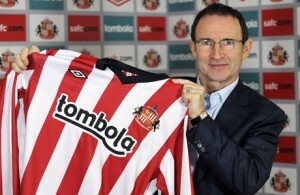 One year one from Martin O’Neill’s appointment, he is being questioned quite openly in the media. Crucially, he maintains the support of the vast majority of the Sunderland supporters. With some tough away games (Arsenal, Man City, Stoke, Everton, Swansea and Fulham) all already played, and a game in hand at home against Reading, Sunderland have crucial games ahead. A trip to Southampton is on the horizon too. 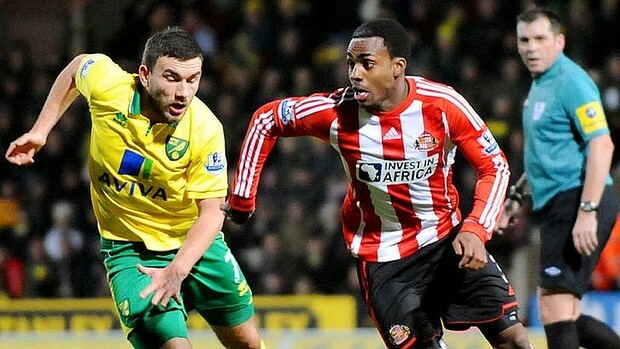 The side also had 8 of it’s first 14 games away from home, with just 6 at the Stadium of Light. Sunderland can turn this poor form around if O’Neill can finally get his team selections and tactics right. That was an absolutely superb piece. It’s refreshing to see someone who isn’t a Sunderland fan speak so knowledgably and eloquently about our club. I just wish you hadn’t mentioned the “Newcastle supporting history” regarding Bruce as this had very little to do with the perception that most of our fans had regarding Bruce. His results and performances are what got him the sack. Bruce seems to forget that the statue outside of the Stadium of Light was of a fellow Geordie, Bob Stokoe. Mind you that’s about where any similarities end between Mr Stokoe and Mrs Doubtfire. Martin started very well when he came in last season and will get the results this season again. Been a slow start, but as you rightly point out, we’ve had some tough away games. Let’s home the result vs Chelsea goes our way – they not the happiest camp at the moment so it’s quite possible. Agree with you that players need to start more often in their natural and favourite position. Steve Bruce is a poor manager, he spent recklessly on average players. Martin will come good. I’m glad that Sunderland supporters still have his back because he will bring back the good days to the Stadium of Light. Quality manager, but I feel in January he will need to strengthen. No chance Sunderland will be going down or even in a relegation fight but they will want a top half finish.